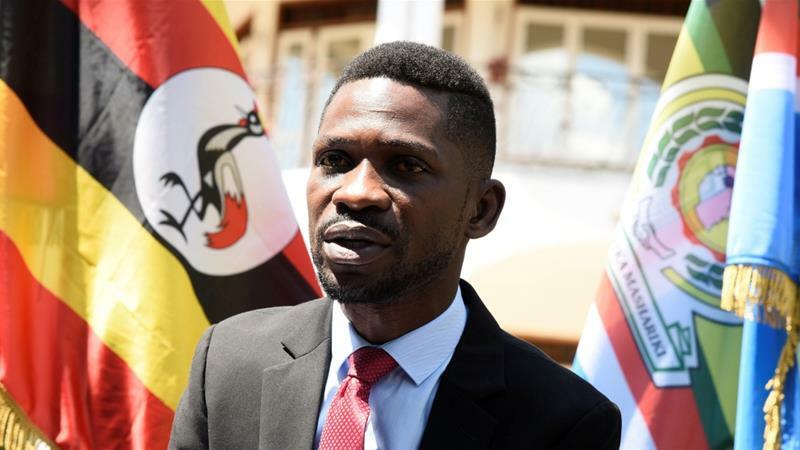 KAMPALA – The continuous blocking of music shows of singer-turned-politician Robert Kyagulanyi aka Bobi Wine by the police, dominated the last quarterly rule of law report of the Uganda Law Society (ULS). The lawyers, through their report titled: ‘The State of the Rule of law in Uganda: Fourth Quarterly Report’, warned that the police’s continuously blocking of Bobi’s music shows, infringes on his constitutional right to practice his lawful occupation as a musician. “Article 40 (2) of the constitution states that every person in Uganda has the right to practice his or her profession and to carry on any lawful occupation, trade or business,” the ULS report released in Kampala, states in part. “It should be noted that the funds had been spent to prepare the concert and the proceeds from it were beneficial to the legislator and his family as a source of income to the organisers of the concert. However, the opportunity to enjoy the living was hindered by police and hence unconstitutional. No reasonable explanation for this conduct has been given so far,” further read the report. The lawyers went on to recommend that police should protect and respect constitutional rights as well as keep law and order rather than interfere with the rights of individuals who are lawful earning a living. The report covered the period of the months of October and December. The rule of law report also cited the international covenant on Economic, Social and Cultural Rights to which Uganda is a party under Article 6 (1), that provides for the right of everyone to the opportunity to gain his/her living by work which he/she freely chooses or accepts and the state will take appropriate steps to safeguard that right as an infringement of Bobi’s rights. The police have in the recent past, disrupted/foiled several music shows organized by the Kyadondo East MP without clear reasons. Police first blocked “Kyarenga” show which had been slated to take place in Mandela National Stadium but it was frustrated by FUFA, the football governing body on grounds that the pitch had to be kept neat ahead of the then AFCON qualifier game against Cape Verde that was slated for November 17. Mr Kyagulanyi did not relent as he instead relocated the music show to his One Love beach in Busaabala, which was held on November 10. The other incident was in Gulu with the latest foiled music show being in Jinja at the weekend that saw the police block the legislator from leaving his hotel (City Hotel) to perform at Jam Mash. “They have beaten some of them, dragged them onto police pick-up cars and driven them to unknown destinations for no offence whatsoever. Meanwhile, I am still in Jinja Town. The police are looking for me everywhere,” the pop music star turned into politician posted on his social media platforms after he was blocked from attending a music show at the weekend in Jinja. But the police has since come out to explain that Bobi was initially not part of the music show (Street Jam Mash), the reason why they blocked him from leaving his hotel room in Jinja. Other rule of law concerns cited in the law society report included; brutal arrest of DP’s Yusuf Kawooya by plain-clothed operatives near Christ the King in Kampala where he was being gun-butted, blocking of Kira Municipality MP Ibrahim Semujju Nganda from holding a rally in his constituency, blocking of FDC president Eng. Patrick Oboi Amuriat from visiting Kasese and Mbarara. The lawyers were also concerned in their rule of law report of the bad blood between the land probe commission and the Judiciary. They went on to recommend that legitimate processes should be followed when making complaints between state agencies. The Law Society has the mandate to promote the rule of law and guide the public and government on issues of law. The publication of the quarterly rule of law reports is one of the proactive measures that the ULS has undertaken to address issues concerning the rule of law in the country.